A reportage by Rizky Aulia and Garry P. Poluan. Our parent organization, Sacred Bridge Foundation (SBF), a Jakarta-based non-profit organization focused on culture, recently held a new year event themed “Equality in Diversity” with a subtheme of radicalization. 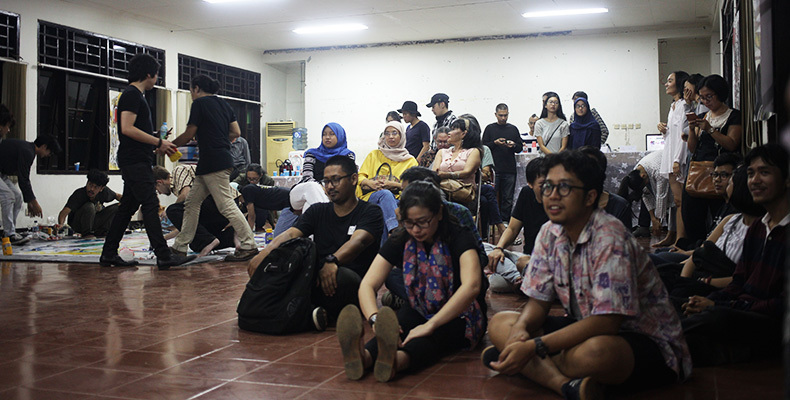 The event’s objective was to respond to current waves of radicalism, explained through discussion, dance, visual art, and two sessions each of music and stand up comedy. Amidst globalization, somehow the promise of a borderless world seems to not take off. Many prefer to retreat to their comfort zones and refuse any form of knowledge not already widely known. As such, radicalism can occur in various fields, ranging from religion to art. Artists’ struggle to argue the different values of art works is an example. Many still value art works as reflections of their production costs. Such valuation method would result in family and fancy cars priced not as far apart. This event, held on February 4th, 2017, at Taman Langsat, was meant to stimulate learning and thinking on this subject among the audience. First in the event agenda was a discussion on radicalization. Moderated by our former Managing Editor, Garry Poluan, the discussion engaged a diverse array of speakers, namely Al Chaidar (lecturer in political science at Universitas Malikussaleh in Aceh, speaking on anthropology), Bambang Marhaendra (cultural geography expert of Universitas Indonesia and SBF’s geography specialist), Denny Putra (lecturer at the Faculty of Psychology at Universitas Kristen Krida Wacana and SBF’s psychology specialist), and Budhy Munawar (Islamic intellectual and Program Officer at The Asia Foundation). Among the topics covered was an explanation of radicalism and fundamentalism in Indonesia. The speakers also discussed the importance of cultural identity, the role of positive psychology, and the part education plays in battling radicalization. 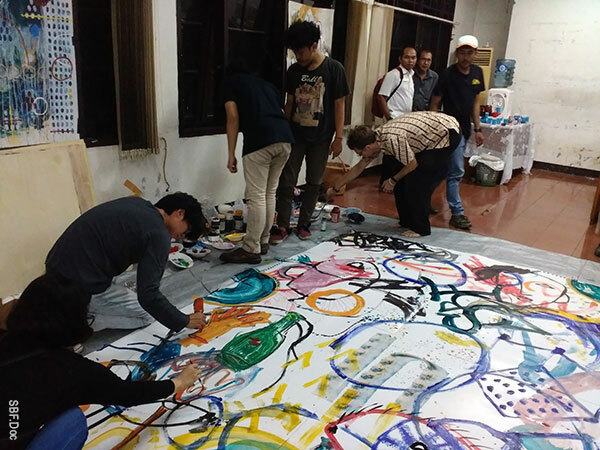 As this went along, five artists continued painting at the back of the room, led by SBF’s visual art specialist, Adikara Rachman, who is also a graphic design lecturer from Trisakti University. The discussions ended with a Maghrib* and dinner break that allowed everyone to mingle. Familiar faces included. Tony Rudyansjah, one of SBF’s founders and Head of Anthropology Department at Universitas Indonesia (UI), and Irwansyah Harahap, SBF’s music specialist and lecturer of ethnomusicology at Universitas Sumatera Utara (USU). There was also an old friend of SBF, Christy Smith, a Singapore-based American bassist who has performed along Stevie Wonder, Fela Kuti, Wynton Marsalis, and Pharcyde, among others. He has also performed in prominent venues such as SmallsLive in New York and the Esplanade in Singapore. Christy assisted SBF in a project in Bali long ago. 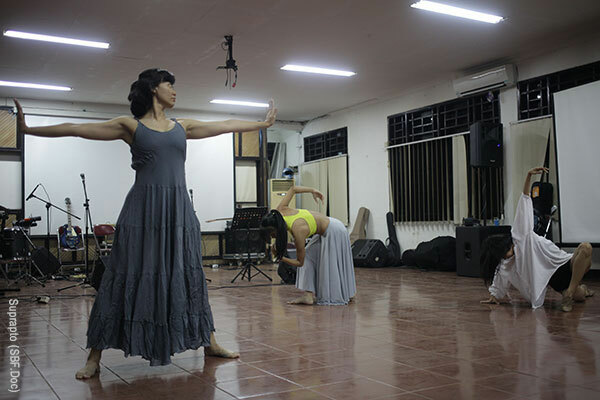 Onwards, the after-dinner show began with a gripping contemporary dance performance by Tri Prasetyaningtyas, Truly Rizki Ananda, and Kshanti Aisyah Kendana of Namarina, a Jakarta-based dance institution. It was a choreographed story of how three distinct characters united. The stand up comedy sessions twisted our expectations. First up was our Managing Editor, Garry Poluan, whose contemplations took unexpected turns. 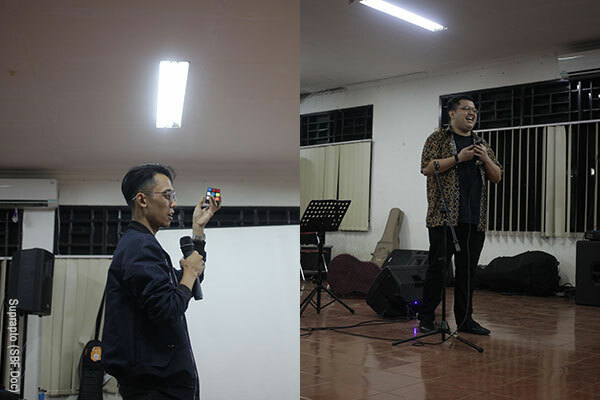 The second session was done by Ario Kiswinar Teguh, paper artist and an art teacher, who expressed his reflections on the education sector through magic tricks and comedy. Slipped along all the other shows was a collective painting session. Everyone was allowed to contribute their paint job on one large canvas. 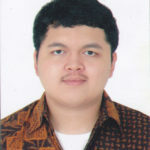 Bintang Perkasa, our Visual Designer, led the explanation of this and the various paintings created throughout the event. Last but not least was two live jamming sessions by inter-generational musicians. The more senior musicians were Irwansyah Harahap (guitar/vocals), Anes Guo (guitar), and Christy Smith (bass). 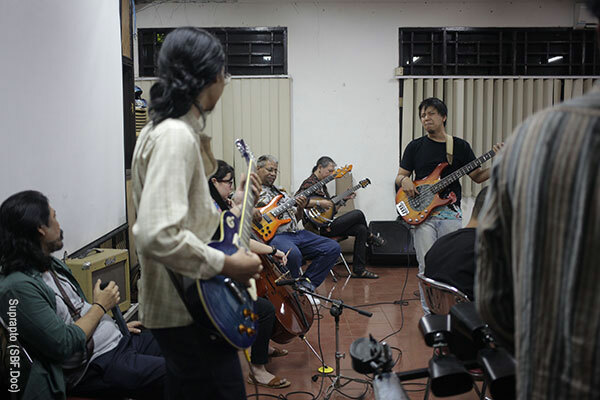 Meanwhile, the younger folks were Pradiva S. (cello), Erlangga Utama (percussion), Rizky Aulia (synthesizer), Dwiki Yoenarso (guitar), Andry Brendley (guitar), and Baroka Ismail (Bass). The event ended with enthusiasm among guests and people who contributed. SBF certainly hoped that the message of the event got across. Nonetheless, the event had proven to be a generator of new acquaintances. It also reacquainted old friends. Moreover, its decent setting did not falter prominent guests from attending and staying, proving the importance of a powerful message. It is difficult to sum up all the knowledge presented in this event. However, its message in short was, as many retreat to comfort zones and resist a changing world, to remember that we are equal in a diverse reality is all the more important. *Maghrib is Muslims’ prayer during sunset. 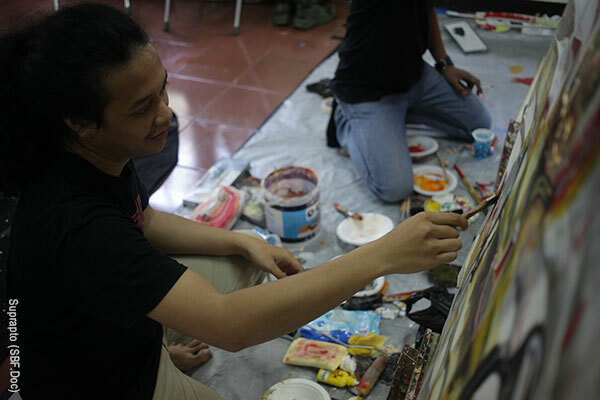 Name of the painter pictured working alone is supposed to be Muhammad Afrizal Aryanto, a graphic design student, not Anis Syafiyullah, an interior design student, as previously reported. Thank you for the opportunity, Sacred Bridge Foundation!